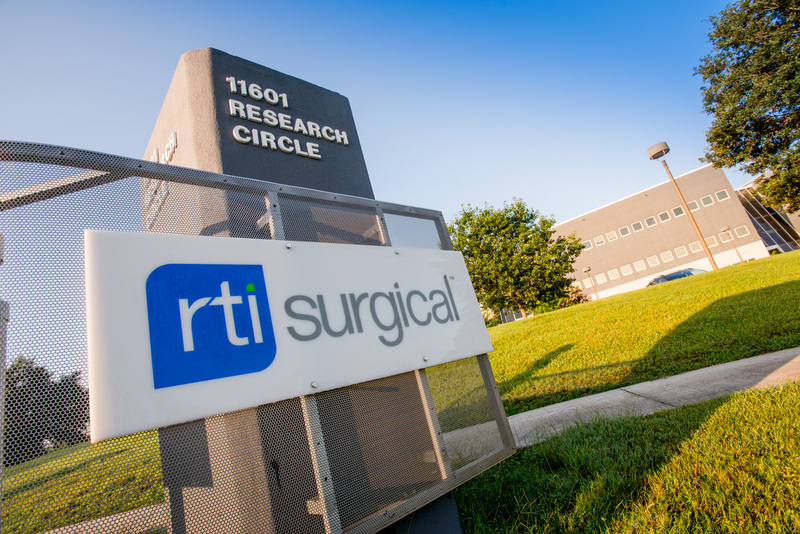 RTI Surgical® Announces Launch of Streamline® TL Spinal Fixation System – Deformity Instrumentation - RTI Surgical Holdings, Inc.
ALACHUA, Fla. (April 11, 2016) – RTI Surgical® Inc. (RTI) (Nasdaq: RTIX), a leading global surgical implant company, is pleased to announce the launch of the Streamline TL Spinal Fixation System – Deformity Instrumentation for complex adult deformities or curvatures. With a focus on versatility, ease-of-use and surgeon comfort, the Streamline TL deformity instruments bring another level of functionality to RTI Surgical’s advanced pedicle screw system. The Streamline TL Spinal Fixation System allows a rigid construct to be created in the thoracolumbar spine using pedicle screws, set screws, rods and crosslinks. RTI has continued to expand on the system’s offerings since the initial launch of the system in 2011, adding innovative solutions to address various patient pathologies. The newest addition to the system, the deformity instrumentation, provides surgeons with the resources necessary to perform challenging adult deformity cases.